Dhaka – A senior United Nations official has said he will raise forum the issue of genocide carried out by Pakistani occupation forces in Bangladesh during its 1971 war of liberation in the international forum. “Though some countries may oppose, we will raise the issue of Pakistani genocide in Bangladesh during the liberation war in the international forum,” Adama Dieng, the UN undersecretary general and special advisor on prevention of genocide, was quoted as saying in Dhaka on Sunday. 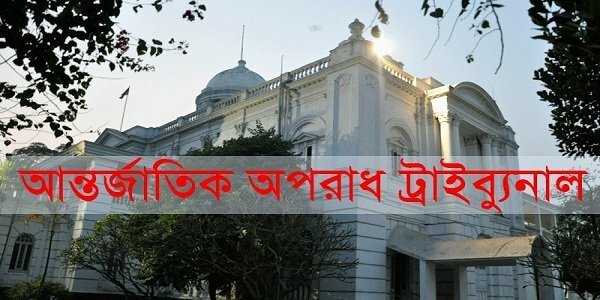 The UN official made the remarks when he called on Prime Minister Sheikh Hasina at her office, said Ihsanul Karim, the press secretary to the Prime Minister. Adama Dieng, a Senegal national and former board member of International Institute of Democracy and Electoral Assistance, has been on an official tour to Bangladesh. He was also the registrar of the International Criminal Tribunal of Rwanda. During the discussion, Prime Minister Hasina said the Pakistani forces launched the genocide in Bangladesh on March 21. 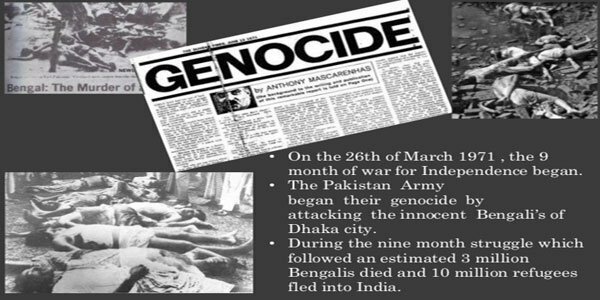 Bangladesh has been pressing to mark March 25 as Genocide Day as on this day the Pakistani forces began the worst genocide in history on unarmed civilians as Bangladesh was poised for secession from Pakistan after decades of political and economic oppression. Hasina told the UN official more than three million people were killed and 200,000 women were raped by the Pakistan military and their local collaborators. She recalled the role of her father Bangabandhu Sheikh Mujibur Rahman, the founder of Bangladesh, in rehabilitation of those women after the war was over. 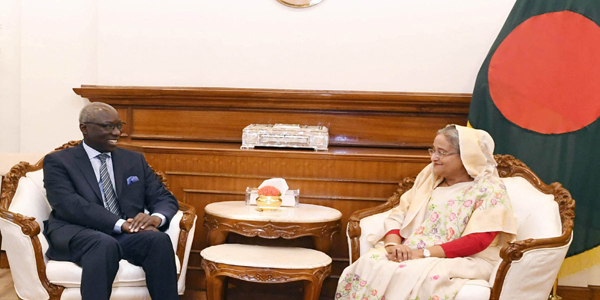 Hasina and Dieng also discussed about the issue of Rohingya, the most persecuted ethnic group in the world, as more than 1 million Rohingya Muslims have been living in Bangladesh after they fled brutal military crackdowns in neighbouring Myanmar. Nearly 750,000 of them crossed into Bangladesh after the 2017 crackdown in northern Rakhine state of Myanmar. The UN called the crackdown a textbook example of ethnic cleansing as unknown number of people have been killed and that women were raped while children were thrown into inferno. Dieng described the Myanmar’s atrocities on the Rohingya as genocide and renewed the UN’s strong support to Bangladesh on the issue, said Karim. “The perpetrators of the genocide must be brought to justice,” said Adama Dieng urging the international community to mount pressure on Myanmar to take the Rohingya back to Rakhine from Bangladesh. “Bangladesh cannot solve the (Rohingya) problem alone and the international community should mount more pressure on Myanmar to solve it,” Dieng said. Adama Dieng said the UN wants repatriation of the Rohingya to their homeland, and to build a peaceful and inclusive society there. State-run Bangladesh Sangbad Sangstha reported that the UN official highly praised Prime Minister Hasina for giving shelter to the Rohingya. “You’ve opened the door widely for the Rohingyas,” he said. Hasina said the Rohingya outnumbered the local people of Cox’s Bazar. “As a result, the local people are suffering a lot,” she said. The government has been developing an island named Bhashanchar for their temporary shelter, Hasina said thanking aid agencies and international community for extending support to the Rohingya. Hasina iterated her zero tolerance on militancy and terrorism saying few such incidents took place in Bangladesh, but the government tackled those in iron hand. Dieng mentioned outstanding leadership of three female leaders in the world, stating the name of Bangladesh Prime Minister, German Chancellor Angela Markel and New Zealand Premier Jacinda Ardern, the press secretary said.